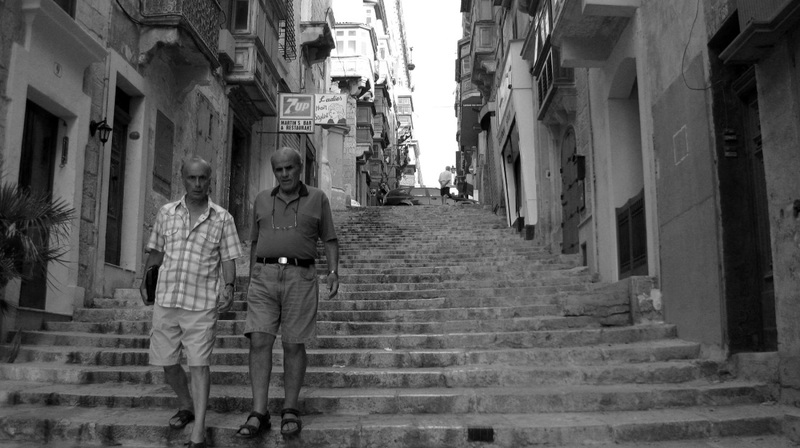 The Culture of Ageing is curated by Dutch curators Lennard Dost and Mare van Koningsveld as part of VIVA 2015 - the Valletta International Visual Arts Festival. VIVA comprises a collective exhibition, a film programme, an artist exchange progamme and a lecture programme. The Culture of Ageing, a multi-faceted project exploring how different cultures look at ageing, will be opening at St James Cavalier on the 31st August as part of the Valletta International Visual Arts (VIVA) Festival. The project is divided into various strands including a collective exhibition, free film screenings, a lecture series, and an artist exchange programme. Curated by Dutch curators Lennard Dost and Mare van Koningsveld, the Culture of Ageing is a joint project between Valletta 2018 and Leeuwarden 2018, the two cities that will be hosting the European Capital of Culture title during the year 2018, and Fondazzjoni Kreattività. The project features in the Valletta 2018 Cultural Programme. This project is a testament of Valletta 2018’s commitment to celebrating culture through an inter-generational and inclusive approach where all members of the community, from all walks of life, are invited to contribute and engage in the cultural festivities before, during and beyond 2018. The Culture of Ageing is a prominent project in VIVA, now a budding visual arts festival that is attracting local and international audiences while also providing local artists with a platform to showcase their work. The exhibition, featuring both local and international artists, will run till the 27th September. The film programme comprises three screening: Young @ Heart at Camarata Building, Merchant’s Street on the 2nd September at 8pm, Robot and Frank at St James Cavalier Cinema on the 4th September at 8pm, and Boyhood at St James Cavalier Cinema on the 5th September at 3pm. A free public lecture titled ‘The End of the World as We Know It! The Coming of Population Ageing’ is set for the 16th September and will be delivered by the Director of the International Institute on Ageing, United Nations Malta, Dr Marvin Formosa, at St James Cavalier Cinema at 7pm. To reserve your place for the free film screenings and the free public lecture, please visit www.viva.org.mt. For further details contact the Valletta 2018 Foundation on [email protected] or 21242018.